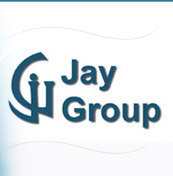 JAY GROUP Established on 2nd September 1982, in Bangalore, have experienced significant growth in our networking with our clients spread at large. Our efficiency in business has set benchmarks for our competitors on the lines of quality and finesse. We offer and deal in premium quality products to give our client's excellent services and true value for money. JAY GROUP is the Asia's leading Manufactures, Importers and Exporters of Tag Fasteners, Tag Guns, and Textile & Multi-Utility Cleaning Spray Guns. Since our inception, we have been working on ethical business principles of honesty, integrity to provide total customer satisfaction to our valuable customers. We are engaged in the supply of high quality products that are known for elegance. We have achieved recognition from several quarters for the high quality of our products. We have our own team of qualified professionals to carry inspection at our works. 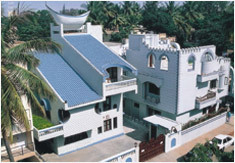 Our products have received huge response from our valuable clients based in India and abroad. The company is looking forward to create long lasting relationship with the customers by providing quality products and dependable delivery. ensure the safety of the products. Our crew of experts maintains a strict vigil on the quality of the sourced products for the satisfaction of our clients. ©2006 Jay Group. All rights reserved.